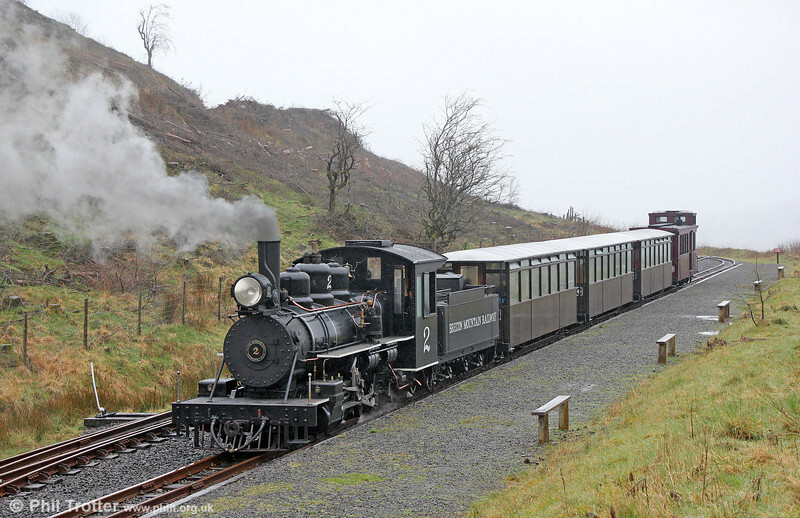 The Brecon Mountain Railway opened its extension to Torpantau on 1st April 2014. For the first time in 50 years it is now possible to catch a train to this remote location. Baldwin 4-6-2 no.2 arrives at Torpantau with the 1030 from Pant on 6th April 2014.